Should you wish for an off-the-wall decoration with explosive colors and symbolic… Then come and see our modern oil paintings canvases collection ! Theses deco canvases are hand-painted by our artists on a quality support for a longer lasting life. With real brush strokes these design oil paintings canvases will bring relief to your wall decoration while integrating a touch of originality. The perfect art object for a white wall, discover our modern and pop art oil painting canvases collection to enhance your home in style! Delivered on wood frames with hanging system. All you have to do is hang these contemporary paintings up and contemplate the works of art. 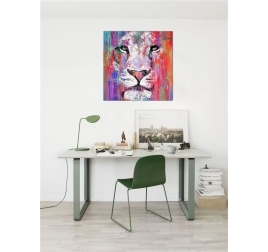 This Lion oil painting is from our Artwall and Co special collection. This painting was entirely done by hand and brush by our artists. The dimensions are 80 x 80 cm. Worldwide shipping for this art painting. 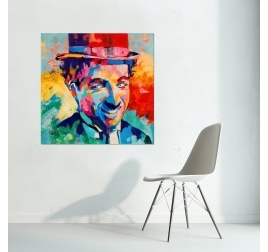 The famous Charlie Chaplin in a unique oil painting ! 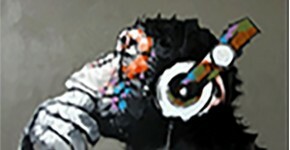 This modern painting was done with a brush by our artists Artwall and Co. The dimensions of this design frame are 80 x 80 cm. 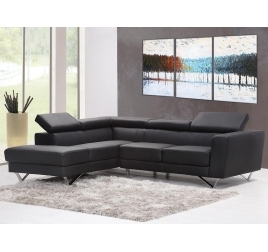 Worldwide shipping for this painting wall painting. The pop art style on a modern paint canvas ! This original paint canvas is entirely brush painted by our artists. This design paint canvas is 80 x 80 cm. Free 48 / 72 h delivery in metropolitan France and Belgium for this pop art canvas. 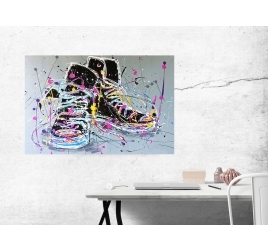 The design painting for sneaker lovers ! This modern painting was done with a brush by our artists Artwall and Co. The frame dimensions are 90 x 60 cm. Worldwide shipping for this painting decoration. A little love on a modern paint canvas ! The dimensions of this hand painted wall canvas are 80 x 40 cm. 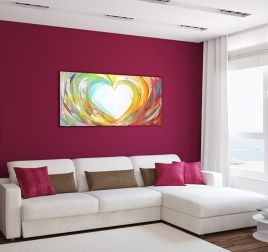 For the purchase of this design wall paint canvas, the 48h delivery id free in metropolitan France and Belgium. This deco oil painting is brush and hand painted by our Artwall and Co artists. The famous Times Square in modern painting from Artwall and Co ! This oil painting was done with a brush by our artists Artwall and Co. The dimensions of this contemporary painting are 80 x 100 cm. Worldwide shipping for this artist's frame. 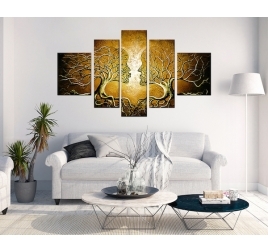 Unique handmade painting in 5 panels for your wall decoration. This painting frame was made with a brush by our artists Artwall and Co. 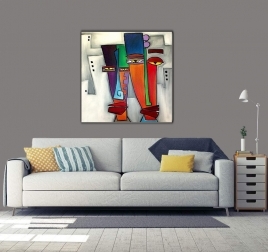 The dimensions of this great modern painting are 170 x 100 cm. Worldwide shipping for this design painting. Explosion of color for this design painting Artwall and Co ! This oil painting was made with brush by our artists. The dimensions of this contemporary painting are 100 x 80 cm. 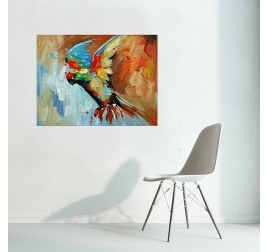 Worldwide shipping for this painting parrot.